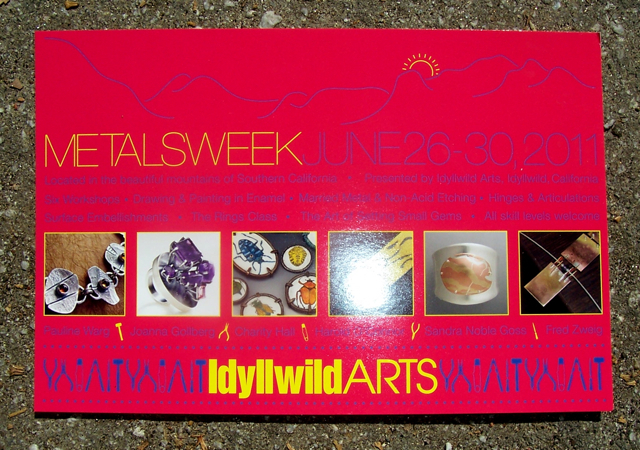 “Metals Week” at Idyllwild Arts Summer Program begins today, June 26, and lasts until Thursday, June 30th. 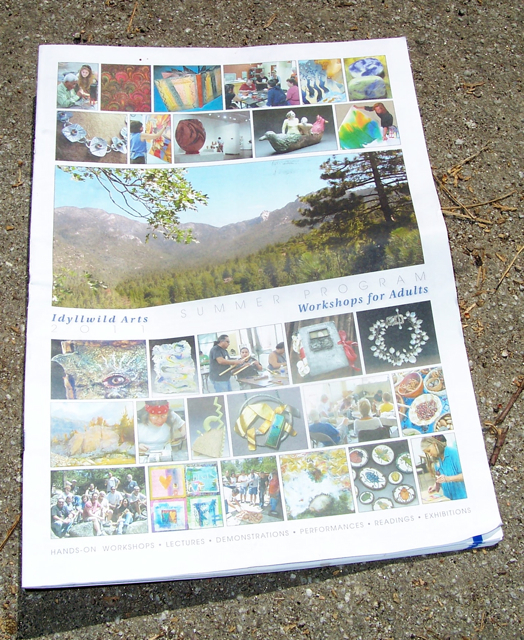 Jewelry makers and metal smiths come from all over the country to teach their craft in Idyllwild. They bring with them a wealth of information about how to make jewelry. 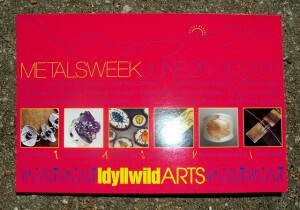 Many who attend “Metals Week” are professionals and hobbyists alike. More importantly, they are loyal followers who come back to the same class and instructor year after year. The first year, Fred said only six students signed up. The second year, he reached the limit, and this year, his class filled up the first day. This is a sigh of relief for summer teachers during this economical downturn. When classes don’t fill up, sometimes they go away. That’s why Fred takes an active role all year in generating students for his workshops. Other times, when he’s completed one of his own pieces, he’ll post a photo of it on Facebook. “Most artists hate to do it, but you have to continually market yourself,” Fred said. On his buttoned down shirt, Fred was wearing a medium-sized silver pin of own creation. He said that he doesn’t cast (melt down metal into molds) to make his creations, but forges them (melts the metal with soldering tools). 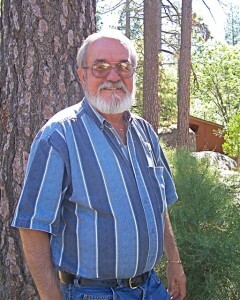 The “flexible connection” description is also the way Fred approaches his networking online. He posts on Facebook, and on various jewelry groups, such as Jewelry and Metalware, The Arts & Crafts Society and The Arts & Crafts Movement, among others. He also helps out friends in need. And, along the way, he said he learns a thing or two. That knowledge helps him to become a better teacher. 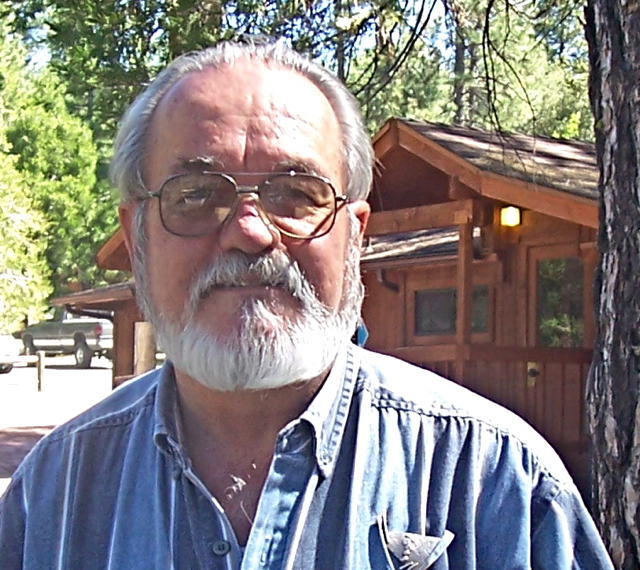 He’s been actively working in metal and teaching others for more than 30 years. A friend of his recently asked him to help a woman who wanted to sell a certain piece of jewelry. She wasn’t sure of its worth, and wanted his expertise. She sent Fred some pictures, and he asked for one more, to see the artist’s signature or stamp. He called around to his colleagues in the industry, and found out that it was worth about $1,000. He even found her a buyer. His colleague confirmed it, and even offered to buy the piece. Fred didn’t charge anything for that legwork, but he could have. He said that he enjoys learning new things, and connecting people with each other. That luck has landed on his doorstep many times. He once found a lovely bronze sculpture of an Asian girl at a flea market. He paid $35 for it, knowing that he could sell it for more. “I estimated that I could get about $1,000 dollars for it,” Fred said. As it turns out “Antiques Road Show” was in Tucson, and he brought the Asian girl sculpture with him. Immediately, they pulled him aside, and asked how he obtained the piece and how much he paid for it. “Do you have any idea of what it’s worth?” the appraiser asked him. As it turned out, the appraiser estimated the Asian girl sculpture would garner $3,000 to $4,000 dollars at auction. Fred and his wife couldn’t be happier. The week after the show, Fred called the appraiser and asked to put the item into auction. As it turned out, the Asian girl sculpture sold for $1,400 dollars. The auction house got their cut, and Fred got $1,000 dollars. “So when my wife sees “Antiques Road Show,” and they say that something is worth a lot, she laughs and says that’s not always the case,” Fred said. But the entire experience was a good one, and makes for a good story to tell his students. He also buys and resells things on Craig’s List and eBay. Recently, a friend of his called and told him to buy enamel and copper bookends on eBay. They were identical peacocks. “But they were also $350 for the pair, which is a steep price for us,” Fred said. However, he figured that he could resell them easily. 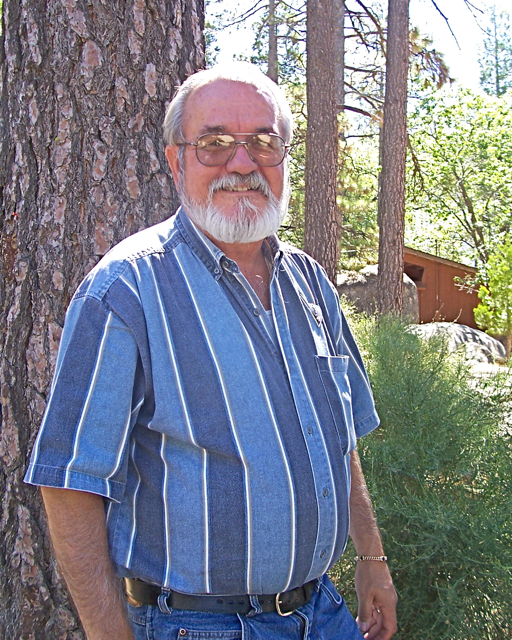 “My wife thought I wanted to buy bookshelves, so she said, ‘Go ahead,'” Fred said. He didn’t even open the package for an entire day. Yet, when he finally opened it, the bookends were far better than he expected. (See the photo at www.forum.arts-crafts.com). The bookends came from the Arts & Crafts Movement, a period ranging from about 1870 to 1925. However, he had his work cut out for him. The original black patina had been rubbed away, so Fred planned on restoring that. Yet, at close inspection, he saw that there was a faint signature on one of the bookends. Gertrude Twichell, from the Boston Society of Arts & Crafts, had signed both pieces, which added to its value. He figured they were worth about $1,000 for the pair. So did Fred get to work to restore and resell these bookends? Fred’s been collecting certain types of collectables for years now. You can find his web sites at www.fredz49.blogspot.com. For more information on Metals Week, June 26-30, and the other instructors, Harold O’Connor, Sandra Noble Goss, Charity Hall, Joanna Goldberg, and Pauline Warg, at the Idyllwild Arts Summer Program, visit www.idyllwildarts.org, and click on “Summer,” or call (951) 659-2171.